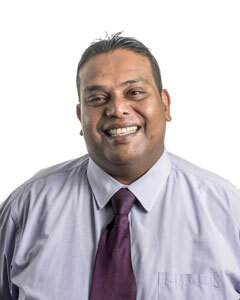 Victor was born in Fiji and completed his secondary education in New Zealand (Otahuhu College 1994-95) and his studies at Auckland University (1996 – 2000). Victor brings a wealth of experience to his work at Southern Legal. This includes time as a Tax Consultant with 2 of the World’s global Accounting giants, Ernst & Young and KPMG (2001 – 2004). 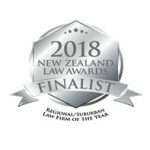 From 2005 to 2007 he worked in another local law firm based in Manurewa. Fiji continues to hold a keen interest for Victor. He remains admitted to the High Court of Fiji as a Barrister and Solicitor. He has undertaken Tax Consultancy there and regularly visits Fiji on such work. Much of Victor’s work these days consists of Property and Business related legal advice and representation. Most legal practitioners do not bring the perspective to the equation that he can offer with his expertise in Tax. This is an advantage for his clients when it comes to making good business decisions – especially where a business restructure is planned, or necessary. Victor also specializes in Employment Law and Litigation, and assists clients who have Tax Disputes with the Inland Revenue Department. This includes opposing default Tax Assessments. He also has a keen interest in both Personal and Company Governance and Legal Compliance matters. In all his dealings Victor is both approachable and easy going – but never at the expense of providing the highest standards of professionalism. Outside work Victor enjoys golf, swimming and reading. He follows the usual sporting codes. Victor has provided pro bono legal assistance to a number of Community organizations, especially within the local Indian Community.